1. 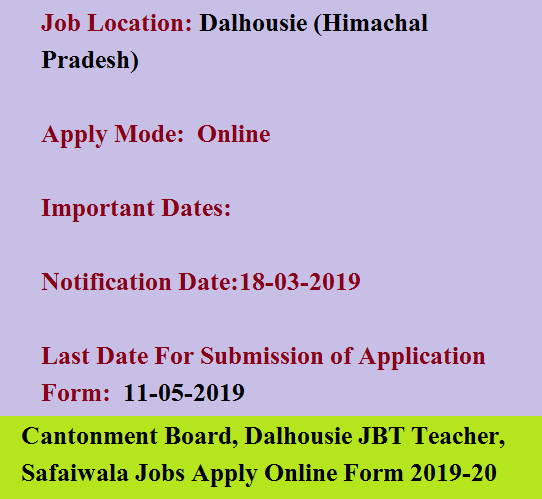 Junior Clerk: Candidates should have pass 10+2 from a recognized Board with minimum speed of 30 w.p.m in English typewriting or 25 w.p.m in Hindi typewriting on computer. 2. Forest Guard: Candidates should have pass 10+2 from a recognized Board. 3. Ayah/Safaiwala/Bhisty/Mazdoor: Candidates should have pass 8th class from a recognized Board. 4. 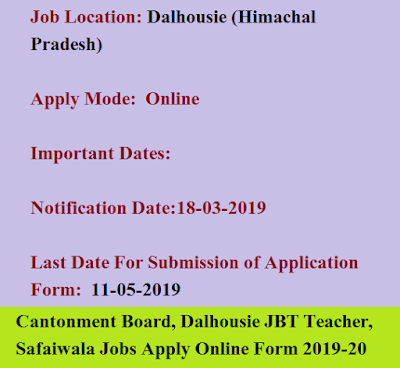 JBT Teacher: Candidates should have complete Senior Secondary with minimum 50% of marks and JBT/D.El.Ed or B.El.Ed or B.Ed with minimum 50% of marks from a recognized University.